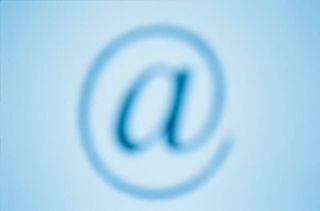 The world's worst purveyors of spam for the first quarter of 2011 have been released, with Asia now at the top of the spam pops piping out 35.1 per cent of the planet's junk email. Europe is close behind with 32 per cent, but this figure has meant that it has dropped from the top spot. In third place is North America with just 17.3 per cent. When you drill into the figures and look at actual countries, the USA is the worst for relaying spam, making up 13.7 per cent of the world's spam. The UK is in sixth place, but we only manage 3.2 per cent of total spam. Interestingly, Sophos, which conducted the research, found that although the rise of mobile platforms and social networking has given spammers a wider remit, overall spam levels have decreased. "While spam continues to make money for the spammers, it will continue to be a global problem," said Graham Cluley from Sophos. "Too many computer users are risking a malware infection that sees their computer recruited into a spam botnet. To combat the spammers, it's not only essential for computer users to run up-to-date security software, they must also resist the urge to purchase products advertised by spam."